There was an interview recently by CNN Money with urban designer Peter Calthrope on China’s fast paced urban development and the unsustainable model of the superblock. 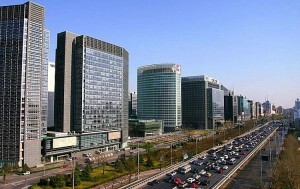 Anyone who has visited or lived in a major Chinese city will be all too familiar with the superblock; large-scale apartment and business complexes with monotone facades and high walls surrounded by busy roads, each block spanning several hundred meters and therefore creating extremely dull and uncomfortable environments for pedestrians. As discussed in the interview, unfortunately and unsurprisingly the car is one of the most desirable status symbols of the middle class population. As such, one reason these superblocks are the preferred solution for solving the influx problem of people migrating from countryside to cities, is because they accommodate large amounts of road and little pedestrianised space. However, as this article points out, if China continues to favour the superblock over the more sustainable, human-scale developments which allow for more pedestrianised car-free zones, quality of life will certainly deteriorate as a result. My design is made up of small urban blocks with green courtyards, each having only 500 units, where you can walk or bike to eat and shop — where neighbors can actually recognize one another. Passionate about all things related to traditional architecture and cultures Amy has a keen interest in building restoration and sustainable architecture. 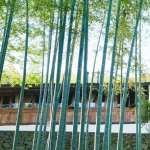 Living in, and traveling around China has given Amy the opportunity to become increasingly exposed to many different forms of traditional Chinese architecture and local Chinese cultures. 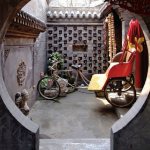 Passionate about all things related to traditional architecture and cultures Amy has a keen interest in building restoration and sustainable architecture in China. Click here to learn more. 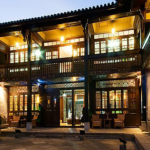 Have recent news related to building restoration in China? Have a comment about the site? Just want to say hi? Click here to contact us today! Copyright © 2019 Project: China Building Restoration.